So, it’s a full moon in Aquarius. What about it? 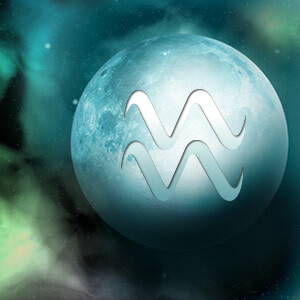 Aquarians want nothing more but to live up to the ideals of a harmonious world. Aquarians are a free-spirited, fun-loving breed. I should know. I was born from one. A closest friend is one. And I date one. So, I am certainly no stranger to the Aquarian nature. It’s an inspired, athletic, and eccentric energy. The Aquarius needs to be paid attention to but not entirely out of ego. They have an excitement for the world around them and need to feel connected to it in a major way. If their enthusiasm goes unnoticed, they feel a sense of false living – as if they are here without true, concise purpose. And that is certain death for an Aquarius. I see this worldly hope in the three Aquarians whom I hold close to my heart. My mother is one of the most energetic humans I know, but her greatest reserve stems from an almost childlike need to appreciate everyone and everything around her. However, she can easily slip into a negative place if her excited approach to life isn’t fully allowed or accepted. Same goes for one of my best girlfriends. She craves mental stimulation from the second she wakes up in order to properly function. And my Aquarian man? Well, he just wants to see the best in everyone, even when they are offering him the worst. But this tireless desire coupled with an enthusiasm to be a positive influence on the world keeps him pushing toward the best version of himself on an hourly basis. See, Aquarians want nothing more but to live up to the ideals of a harmonious world. So how does that translate to this weekend’s full moon?